SEMA Show exhibitors—and features such as the New Products Showcase—are open and ready for business on Friday. 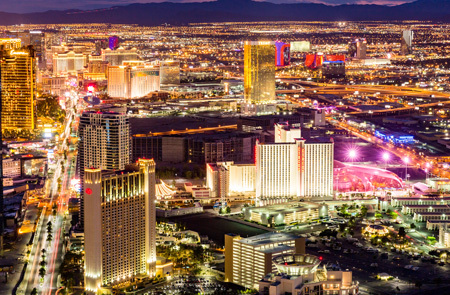 All exhibitors are ready to do business on Friday, from 9:00 a.m.–4:00 p.m. at the Las Vegas Convention Center. Education sessions are also available on Friday, a first since the inception of the SEMA Show's Education Days. There are more than 10 sessions available Friday, free of charge to Showgoers. To view the Education Schedule, visit www.SEMAShow.com/education. Also in operation on Friday are all of the Show's features, including the New Products Showcase, Ford Out Front, GM Proving Ground, SEMA Central, West Coast Customs Experience, Baja 1000 Score Exhibit, Optima Alley, Hot Rod Alley, Continental Tire Extreme Experience and Arctic Cat. With the SEMA Battle of the Builders® competition, SEMA Cruise and the official industry after-party—SEMA Ignited—Friday will once again be the Show’s best day. Reminder: SEMA Showgoers can use their SEMA Show credentials to gain entry into SEMA Ignited—the official SEMA Show after-party on Friday, from 3:00 p.m.–10:00 p.m. Located in the Gold Lot immediately across the street from the Las Vegas Convention Center, SEMA Ignited is where vehicles will assemble after rolling out of the convention center in the SEMA Cruise. 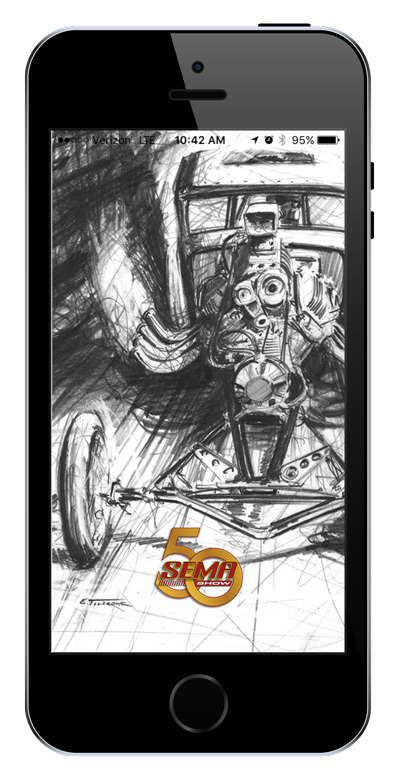 Plan and create personalized schedules for the 2016 SEMA Show by using the event’s official mobile app. Available at no cost at app stores and www.SEMAShow.com/app, the app’s updated design features a suite of tools that make on-site navigation and agenda creation quick and simple. In addition to confirming appointments, scheduling meetings and mapping out exhibitors, the app includes links to the Show’s essential info—a list of Show hours, details on ground transportation, maps of the Show grounds and halls, a list of special events with times and locations, a schedule of daily celebrity appearances and feeds from the official SEMA Show social media accounts. With less than one week until the opening of the 2016 SEMA Show, attendees are encouraged to use the SEMA Show floorplan to get acquainted with this year’s layout and to research new exhibitors. Buyers can use the search tool to locate companies by product keywords. For example, a search for the term “exhaust” will produce a list of companies offering exhaust-related products, a button graphic with the number of those exhibitors per hall, and their locations on the floorplan. 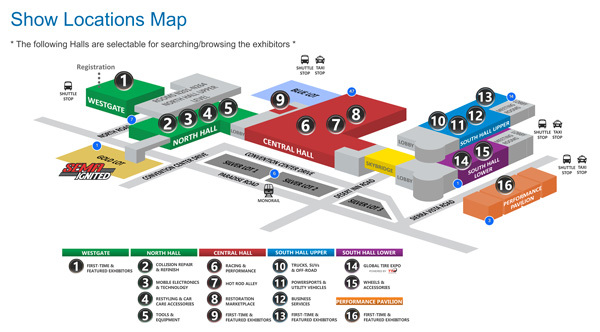 To navigate deeper, buyers can click on any of the buttons to bring up a larger version of the map, and the specific location and booth number for each company. SEMA Show educational sessions deliver practical, progressive insight, and leverage the Show’s unique gathering of innovative companies and people to support the exchange of ideas. The 2016 SEMA Show includes the Education Days program throughout the week. This year’s education lineup features well over five-dozen sessions. Topics cover industry trends, technologies and opportunities, while also addressing basic business practices, such as customer service, accounting, marketing and social media. For the first time in the SEMA Show’s history, educational sessions are scheduled on Friday, providing attendees with more flexibility when finalizing Show plans. The majority of the sessions are free. Check out the complete SEMA Show Education Days schedule. Visit www.SEMAShow.com/travel to see the latest hotel deals and rooms available. Those who registered prior to October 14 will receive their badges by mail to their company or residence. In addition to having your badges mailed, you’ll save $35 on the on-site registration and be able to arrive at the Show, hit the floor and get down to business. For more information on the 2016 SEMA Show, visit www.SEMAShow.com.